One of our favorite perennials for making a bold statement in the garden. 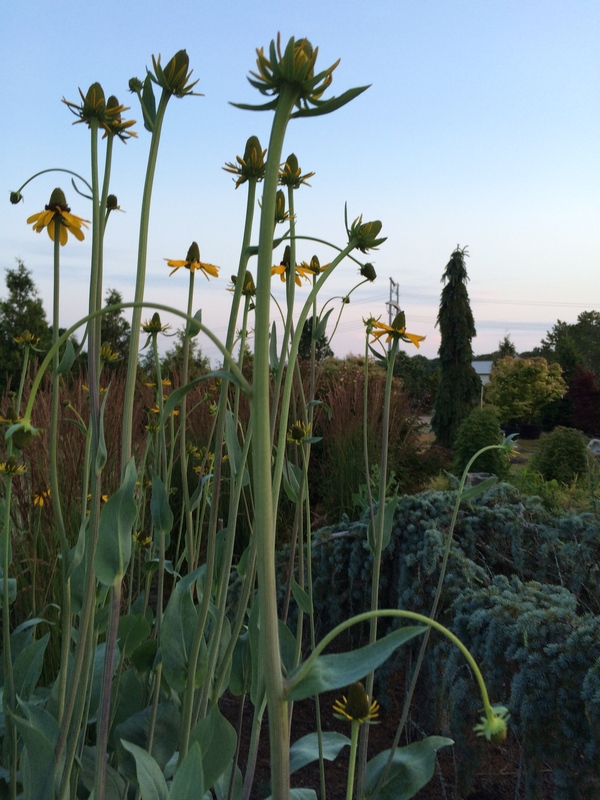 Blue basal leaves give rise to tall yellow ray flowers surrounding a large brown cone. Flowers pass and the cones remain on sturdy stalks feeding birds in autumn. Great with grasses and conifers.